I am a huge fan of the recent Planet of the Apes trilogy. I view these films as instant science fiction classics, with deeply resonant stories told through magical, ground-breaking special effects and stellar world building. Last year, like the geek that I am, I kept track of every film I saw and gave them all star ratings. War on the Planet of the Apes was one of only three films that I gave five stars. I was able to take an early look at a beta version of the Crisis on the Planet of the Apes. I have spent more time thinking about this game than any other in recent months. After playing through Crisis the first time, my opinion was actually quite low. I had a hard time with certain parts of the game, and even though I knew the version I was playing was a beta, I came away from my playthrough feeling frustrated and angry. However, after thinking about things and letting them gestate for few days, I went back and took another look at some of the mechanics in the game. I came away from that second playthrough far more impressed than I had been after the first. I just had to let the game marinate for a while and stop judging it in the way I would judge I would a final product. I had the opportunity to speak with Brenden Handler, SVP and General Manager of FoxNext VR Studios for a recent article about the making of the game. 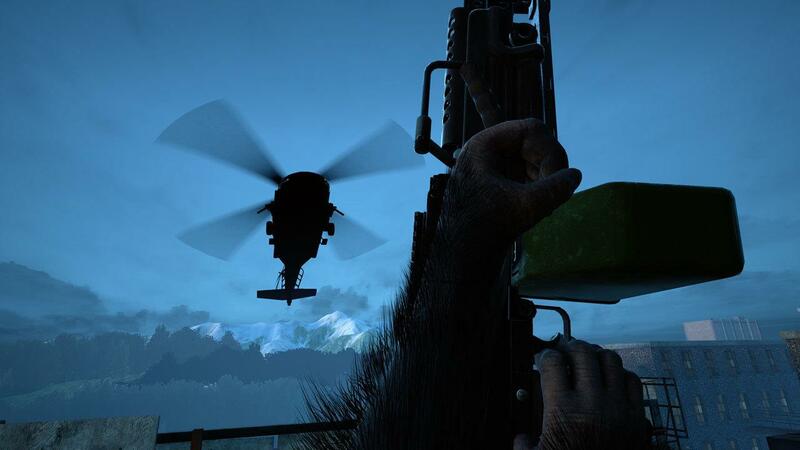 During our conversation, I was able to learn about FoxNext VR Studio’s development process and confirm a lot of my own assumptions about the design decisions that went into Apes. This inside exposure to the thought that went into the title clearly colors my opinions of the final game. That said, I find it an interesting intellectual exercise to put aside all of the baggage I’ve accumulated surrounding Crisis and attempt to review the final release of the game as it is, without allowing my previous knowledge and experience to shape my feelings. In the interest of being unbiased and fair, I woke up this morning and once again played through the retail version of Crisis on the Planet of the Apes in its entirety. What I found was a fast and fun romp through a small corner of the Planet of the Apes universe, implemented with a unique (and tight) control scheme. I also found that I can absolutely cruise through this game now. I can rock through Crisis in a little less than an hour, but it will likely take first time players closer to two hours to get through the story the first time. Taking place between the first two films in the recent film trilogy, Crisis begins with players inhabiting the body of an intelligent ape, recently captured and taken to an industrial facility in Northern California. This facility is shared by the military and the CDC, who cohabitate in an uneasy alliance. The military is all brute force and curse words in their dealings with their captive apes, whereas the CDC folks are more gentle and humane, even in the midst of performing scientific research on their simian prisoners. It is clear that the CDC is working towards a cure for the simian flu in order to save what is left of humanity, whereas the military favors outright subjugation of the apes. The first minutes of Crisis are unnerving, as players are processed into captivity by the military, shuffled through a series of checkpoints with the threat of violence constantly lurking. There is something very visceral about staring down the barrel of a gun being held by a hostile force, especially in VR. At one point during my most recent playthrough, I decided to try something I hadn’t tried before. While being examined by a CDC doctor, I gently reached out and tried to touch her face. I was quickly shot, put down without warning by the soldier standing beside me. I didn’t even see it coming. 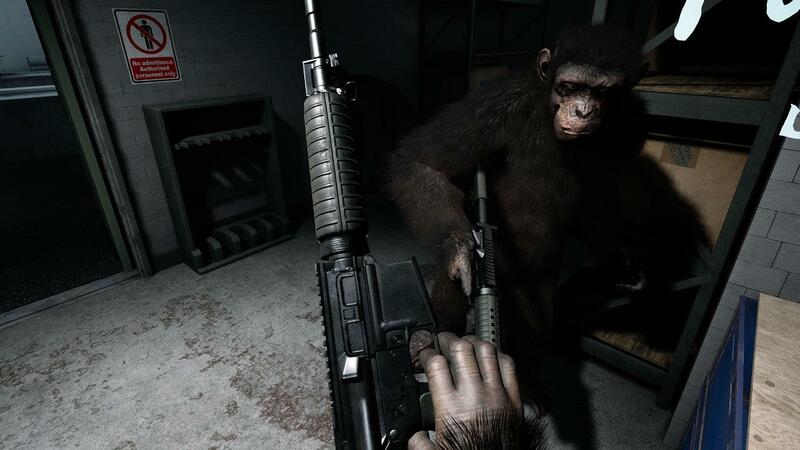 Before long, the central character has escaped captivity, teaming with a small group of other like-minded apes, bent on getting out of the facility and back to Caesar and the forest. As a result of this escape, the remaining apes are set free and the carefully maintained truce between the military and the CDC crumbles. Players must make their way through the facility with these conflicts raging around them (though mostly unseen), avoiding detection and often outright battling for their freedom. While the game picks up steam once the open conflict begins, the opening sequences are some of the strongest in the game. This is a game with very high production value and atmosphere. While some might find the environment and circumstances oppressive, you can’t argue that being confronted with overwhelming and domineering captors isn’t effective. While VR is often used to place the player in wonderous and magical worlds, there is something to be said for the medium’s power to deliver less fanciful and desirable circumstances. 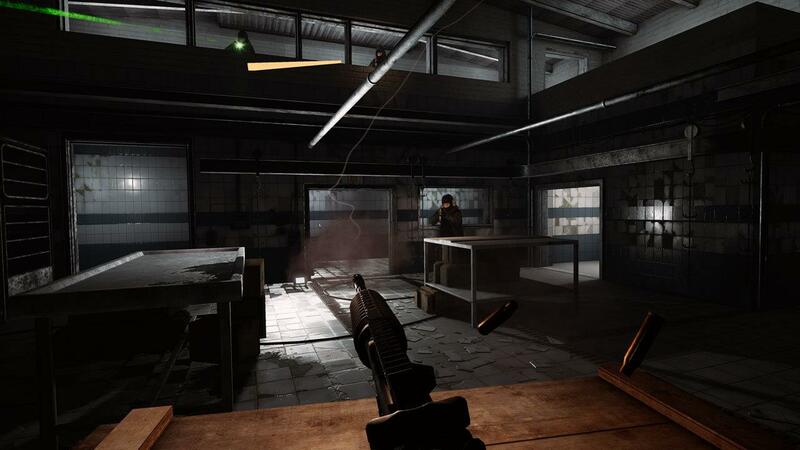 After escaping, players quickly come into possession of various weapons, and move through the facility more or less on rails, shifting from vantage point to vantage point and gunning down waves of baddies. This is where some of the game’s strongest mechanics come into play. While forward motion from cover point to cover point is restricted to predetermined positions dictated by the game, moving within cover offers a new dynamic I haven’t encountered before. 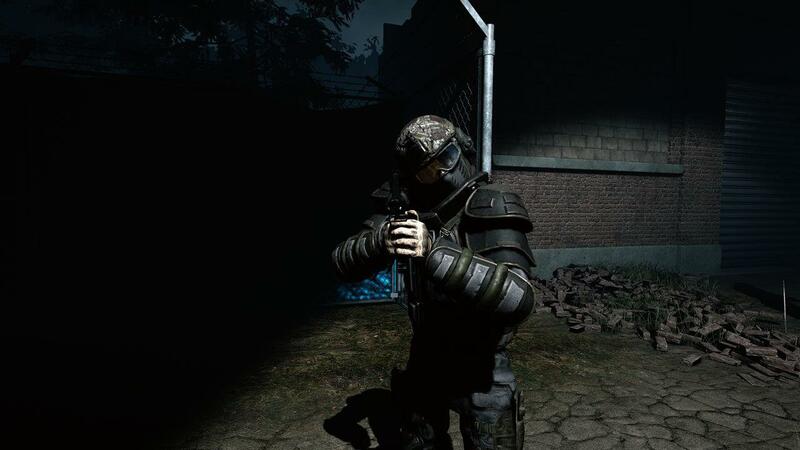 Instead of using a button to pop in and out of cover, players are able to use their free arm (it only takes one to fire a rifle) to pull themselves around. This allows you to slide along on the ground and pop out of the side of objects, catching opponents off guard. Being able to displace while still remaining in cover makes what might have been standard combat into something new and fresh. All of the controls in Crisis are equally original. Players walk by holding down on the Move buttons and swinging their arms, mimicking the motion of an ape walking on their knuckles. Climbing is accomplished by reaching out your furry arms to gain purchase and pulling yourself up. 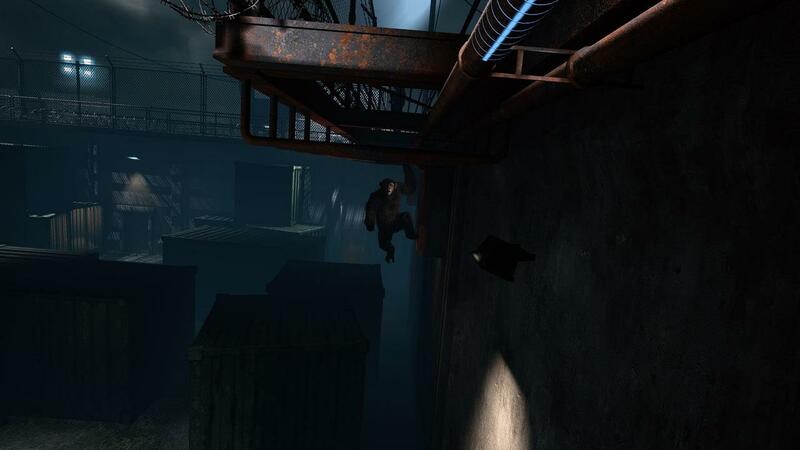 The climbing sections are interspersed throughout the game, giving players the feeling that they are moving through the facility both vertically and horizontally, ducking into vents and scampering up walls to avoid their human opponents. The climbing gives a strong sensation of actual movement, and I often found myself having an instinctive reaction to the heights I achieved, gripping my Move Controllers far harder than was probably necessary. All of this combines to deliver an immersive experience unlike any I’ve encountered in the VR space. The feeling of inhabiting a character and being in a real place is something that FoxNext nails. Players are asked to step outside of their typical VR comfort zones, and this leads to some very visceral moments. Some of the other aspects of the game, though, are lacking a bit. While the game delivers on a strong sense of place and atmosphere, the narrative playing out within that framework feels somewhat threadbare. Outside of one human CDC worker, the human characters barely register. The voice work is strong, but there just isn’t enough story happening to really latch onto any of the characters, and that includes your ape companions. The story plays out in glimpses, with the ape characters moving carefully to stay out of sight. This means that the entire CDC/military conflict takes place off screen, as does the escape of the other apes. Often events taking place outside of your view are imparted via audio cues playing through radios and the base PA system. This creates some interesting moments - sometimes with hints at events in the wider world outside of the facility – and the well-produced audio does keep things moving along. However, delivering major story beats through audio does ultimately feel a bit like “smoke and mirrors”. One more set piece (even a non-interactive one) visually depicting the three-way battle between the military, CDC, and escaped apes would have helped flesh out the story immeasurably. There are a few other quibbles that I have with the game, most of which boil down to “I wish this game had a bigger budget”. While the arm-swinging/walking dynamic is fun, I did find myself straining against the rails the game is on, particularly after multiple playthroughs. The urge to freely explore the environment is palpable. I also found myself turned around and getting tangled in the PS VR cables on more than one occasion, making me wish for a “turn” button. It is important to remember, however, that Crisis on the Planet of the Apes was released for fifteen bucks (and it has pretty much permanently been on sale for ten dollars since before release). Even in the VR space, this is a very reasonably priced title. Crisis more than delivers compared to other titles at the same price point. For the limited scope of the adventure, the production values are stellar. Let’s face it: Crisis on the Planet of the Apes could have easily been shovel-ware. With less care, this game would have been just another sigh-inducing Hollywood-tie-in disappointment. As it stands, Crisis is a tight experience that delivers a couple of hours of innovative entertainment within the framework of a beloved franchise, all at a very reasonable price. 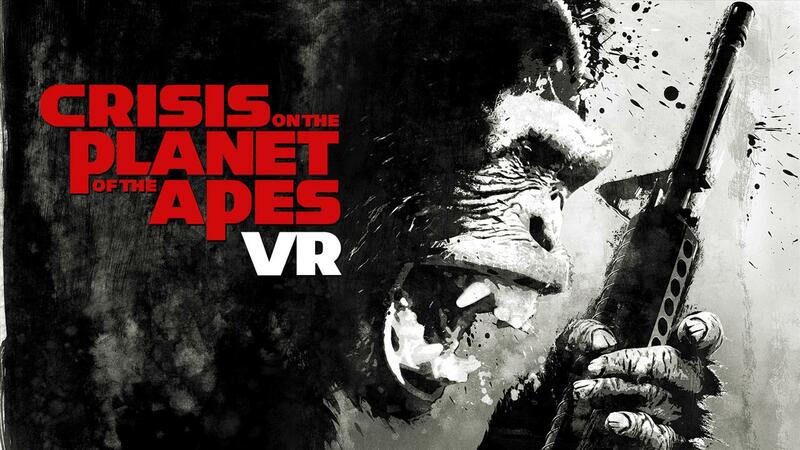 While some of the ideas in this game MAY eventually prove to be evolutionary dead ends, anyone curious about how the iterative development of VR standards would be well served to spend some time on the Planet of the Apes. Crisis on the Planet of the Apes is fast and fun, delivering a brief jaunt into the oppressive world of the beloved sci-fi universe. While the experience is light in the narrative department, the gameplay innovation and high production values more than make up for story’s shortcomings. With the release of this game, FoxNext VR Studios have broken free of the movie-tie-in stereotype, and have established themselves as a VR developer to watch.